There is a rich history of conservation of the Green River Gorge. There are also individual stories of people who have a strong connection to this unique river carved canyon. A shared passion whether as a local growing up here, a fishermen, whitewater boater, equestrian, hiker, conservationist, or explorer. Wolf Bauer led the first effort to conserve the Green River Gorge. He worked with State Parks in 1969 to develop the Green River Gorge Area Management Plan. Lisa Parsons. 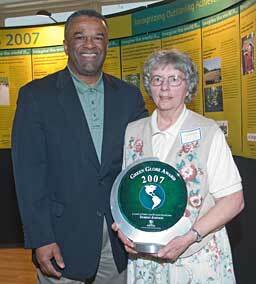 Founder of Middle Green River Coalition and Green River Gorge Greenway vision, and author of this project. She has spent many days wandering the remote corners of the gorge in search of the perfect photo and the next adventure.